It wasn't that long ago that mineral oil was in most every U.S. household. 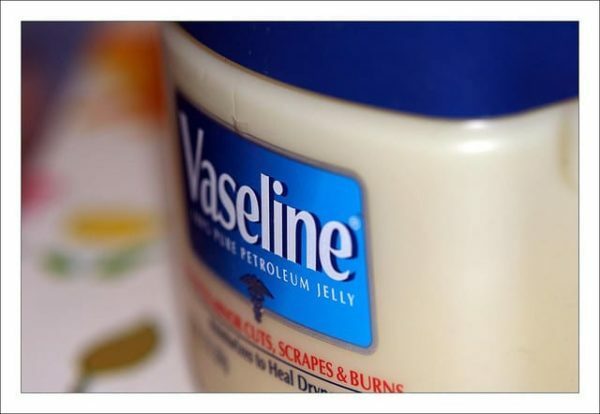 Also known as petroleum jelly, it sat on nighstands (Vaseline was the favored brand), and was a staple ingredient in our hand lotions, body lotions, makeup, ointments, and more. Not a lot has changed. You'll still find mineral oil in hundreds of personal care products, and in thousands of U.S. households. Slowly, however, many families are putting it on their “do not buy” list. Why is mineral oil suddenly something we should be worried about? Mineral oil is a liquid by-product of the distillation of petroleum to produce gasoline and other petroleum-based products from crude oil. It's clear, colorless, and tasteless, and is produced in large quantities. There is a difference in how these oils are refined—the ones used in cosmetic products are typically highly refined, while those used in automotive oils and fluids are often unrefined or only mildly treated. Mineral oil is used in cooking as a non-stick coating, and to condition butcher-block surfaces and soapstone countertops. It's also used as a laxative, a preservative to keep metals from oxidizing, a conditioner for leather materials (baseball players may apply it to their mitts, for example), and as a general wood conditioner and sealant. It has a reputation as being a good oil-stain remover, as it can dilute and liquefy other oils so they can be lifted out with washing. Of course, mineral oil is also used in a ton of personal care products, from baby oil to makeup and from body lotions to cold creams. Can Mineral Oil Cause Cancer? One of the things you may have read is that mineral oil is a carcinogen. Is this true? The concern here is not about mineral oil itself, but about some of the contaminants that may hitch a ride along with it during the refining process. Some petroleum derivatives contain carcinogenic materials like polycyclic aromatic compounds that may be linked with cancer. Only highly refined and purified mineral oil can be used in cosmetic products, however, and so far, no studies have proven that this type of mineral oil causes cancer. The twelfth edition of the Report on Carcinogens, for example, put out by the National Toxicology Program, states that untreated and mildly treated mineral oils are known to be human carcinogens based on sufficient evidence of carcinogenicity from studies in humans. These are the oils used in metalworking, manufacturing, automotive, mining, construction, and other industries. Highly refined mineral oil, however, is a different story. A study on mice showed that the more refined the oil, the less carcinogenic it was. Another study in 2003 described data demonstrating that currently manufactured base oils have a general lack of cancer hazard. In fact, highly refined mineral oils are not classified as human carcinogens. One of the other big concerns concerning the use of mineral oil on the skin is the fact that it creates a barrier over it. This is actually one of the reasons the oil has been used in lotions for so many years. By creating a barrier over the skin, it stops additional water loss, which can help skin hang onto more moisture and reduce dryness. Human skin plays a vital role in the production of vitamin D and in cooling the body with sweat and the ejection of impurities. Some believe, therefore, that mineral oil may hinder the skin from performing these tasks. Some critics also believe mineral oil clogs pores, but studies have actually shown that it does not do this, and is actually non-comedogenic. In 2005, for example, a study published in the Journal of Cosmetic Dermatology reported that mineral oil does not cause breakouts on the face as previously thought. All this conflicting information is likely to leave consumers confused. Here's my take—cosmetic grade mineral oil is most likely not going to cause you to suffer from cancer. Several of my customers complain that they break out when they use products that contain it, but according to studies, it doesn't clog pores. It can, however, feel really greasy on skin. So let's just go with my usual instincts, which is to use natural alternatives. Most cosmetic products use mineral oil as a hydrating ingredient, to promote skin smoothness and softness. Great natural alternatives that not only soften skin, but nourish it with several beneficial ingredients, include shea butter, as well as olive, jojoba, coconut, rose hip seed, and grape seed oils. You'll find many of these oils in my products—and no mineral oil. Do you avoid mineral oil? What is your experience with the ingredient? Photo courtesy bettybl via Flickr.com. “Mineral Oils: Untreated and Mildly Treated,” Report on Carcinogens, Twelfth Edition (2011), National Toxicology Program, Department of Health and Human Services, page 271- 272, http://ntp.niehs.nih.gov/ntp/roc/twelfth/profiles/MineralOils.pdf. S.M. Doak, et al., “The carcinogenic potential of twelve refined mineral oils following long-term topical application,” Br J Cancer, 1983 September; 48(3): 429-436, http://www.ncbi.nlm.nih.gov/pmc/articles/PMC2011470/. Carl R. Mackerer, “Petroleum Mineral Oil Refining and Evaluation of Cancer Hazard,” Applied Occupational and Environmental Hygiene, 18: 890-901, 2003, http://www.tandfonline.com/doi/abs/10.1080/10473220390237467#preview. If anyone tells you mineral oil is unsafe or is a filler, they most likely have their own agenda. In other words, a product to sell you. It does provide a benefit, seals in moisture and seals out irritants. That is a very GOOD thing. It does not clog pores. Do you know what does? Shea butter and coconut oil. Our skin is exposed to so much pollution. Being around vehicle exhaust is much more damaging than anything you could put on your skin. If anything, mineral is a protectant. What people don’t understand is that even though mineral oil isn’t likely to harm you and give you serious side effects, it still does nothing really to benefit your skin. Which you highlighted perfectly in this article. It basically just sits on top of your skin like you said which if your skin on your face has bacteria on it (which it most likely does) mineral oil will trap that bacteria in your skin causing you to break out. Unfortunately because it is so cheap and manufactures still need to make a profit off of their products this is why majority of companies use it. The only company I’ve come into contact with to date is a company called arbonne. They don’t advertise on tv or magazines and they don’t sell their products to retailers so they can afford to put in too quality ingrediants at a reasonable price. Because they need a way of getting their product out there they have consultants like myself who sell the products for them. If anyone is interested in vegan, paraben free, botanically based and mineral free products then please feel free to email me at [email protected] for more info and discounts. I use baby oit for sexual activities.. am i at risk? WOW! Love this article. I am so happy to find that you are just as passionate and smart about what your putting on your own and more importantly your child’s skin! For those of you that think mineral oil is safe, I will let you continue to think that, it’s not worth tying to convince you any different. Google it, it’s a by product of petroleum AKA gasoline you put into your car. Ann marie, we should connect! I have a health & wellness business on the side where I educate people of the importance of researching their labels. Hi Dyane, I know a product range that is pure safe and contains no parabens or mineral oils. Would you like to find out more? I currently use Erno Laszlo’s Phormula 3-9 Repair Balm, it cost more than $200 and the second ingredient is mineral oil. At that price, I expect that the mineral oil is highly refined…I can only hope. as per now one way to stay safe from skin cancer is to avoid petroleum jelly and the sort.you cannot be realy sure how refined the mineral oil in your beauty product is. Mineral oil is NOT good for you. It is a by-product of petroleum which comes from that dark sludge at the bottom of the gas pumps that is expensive to safely dispose of. I’m not about to try and convince you otherwise, your beliefs are your beliefs. However, I think you’d be very surprised and concerned. Mineral Oil is the second worst leading cause of aging next to the sun. For more info, I have a part-time health & wellness company, where I introduce safer products & educate on the importance of researching your labels. You should do your research. Obviously this blogger did and there are many, many studies that prove otherwise. You having Arbonne discredits anything you have to say. What a joke.